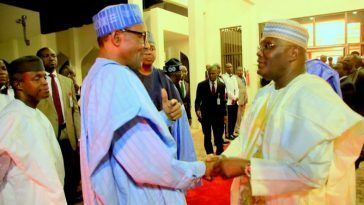 While the Federal Government ponders on implementing the new minimum wage of 30,000 recommended by the tripartite committee, the People’s Democratic Party (PDP) presidential candidate Atiku Abubakar has approved N33,000 for 100,000 staff working under him. According to a report by the Sahara Reporters on Thursday, November 8, 2018. Mohammed El-Yakub, The Managing Director of Gotel Communications owned by Alhaji Atiku Abukar, disclosed this information. He also revealed that the new minimum wage will take effect from November 2018. Meanwhile, The Organised Labour have threatened to go on strike again if the Federal Government fails to approve and implement the N30,000 minimum wage recommended by the tripartite committee. Read the report HERE.